Award-winning, Little Nashville, is a high energy, family-focused live concert that features the stylings of today's country music coupled with contagious lyrics that children of all ages are sure to enjoy. Featuring ICMA’s female vocalist of the year candidate, Lisa Perry this roof-raising stage performance is a ton of fun and educates children with important lessons about the world around them including empowering kids to be whatever they want to be. 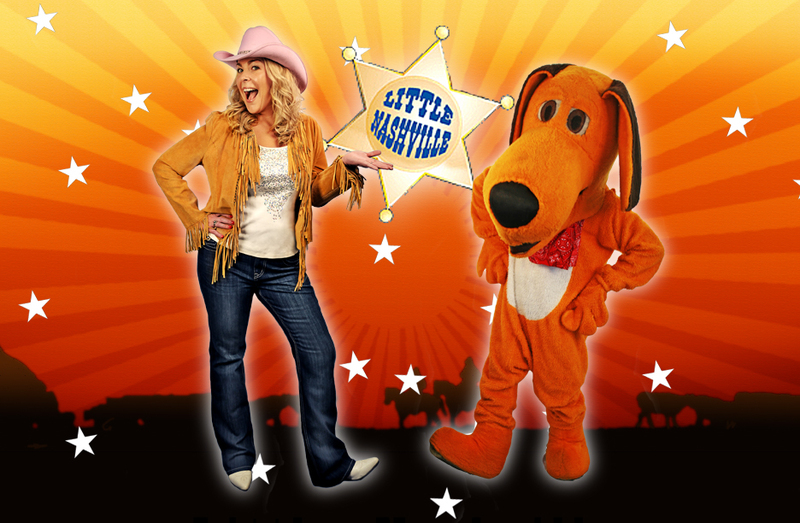 From stories to tell to great sing-alongs and dances, Little Nashville is the perfect get-a-way for kids and families alike. Oh and don't be late to the swearing in….Sheriff SueAnn awards Official Deputy Badges for all the Little Nashville townspeople when they participate in the Little Nashville oath. Lisa a.k.a. Sheriff Sue Ann. Lisa boasts an impressive list of first place honors in several highly acclaimed musical contests. In 2005, she represented the ICMA at the North American Country Music Association’s Music Week in Pigeon Forge, TN and brought home both the Horizon Award and the Most Promising Female Vocalist trophies. The ICMA also nominated Lisa for the New Female Vocalist for the ICMA. Additionally, she has been the four time local winner and three time state winner of the Colgate Country Showdown. Lisa's explosive stage presence is proof enough that girls make great sheriff's too and her wit, charm, and charisma is sweeping Chicago by storm.